"Ghost town." The words evoke images of dusty streets with tumbleweeds rolling down them, the batwing doors of a barn flapping in the wind, rattlesnakes scuttling under wooden sidewalks at the approach of the thirsty traveler. 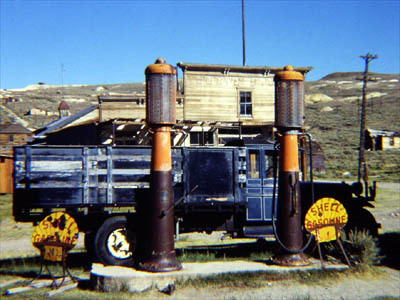 But not every ghost town resembles the set of a cowboy movie, or dates back to the days of the buckaroos. 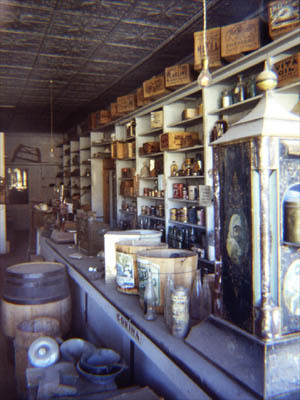 Although Bodie was, in fact, a boomtown founded in the middle of the 19th century, it didn't become a "ghost" until well into the 20th. At its peak in the 1870s and 80s, it had "two banks, four volunteer fire companies, a brass band, a railroad, miner's and mechanic's unions, several daily newspapers, ... a jail [and] 65 saloons..." according to the Wikipedia article. It also had a red-light district, a Chinatown complete with a Taoist temple, and of course a cemetery. 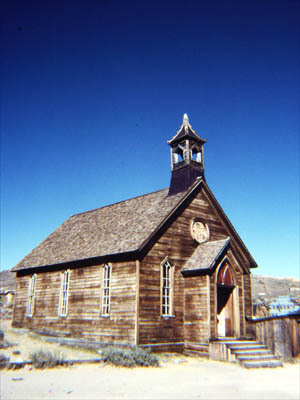 As the boom faded, it matured into a family-oriented place, complete with two churches, a school, a railway from south of Mono Lake, and electrification. In 1912, the last newspaper closed, signaling the beginning of the end. 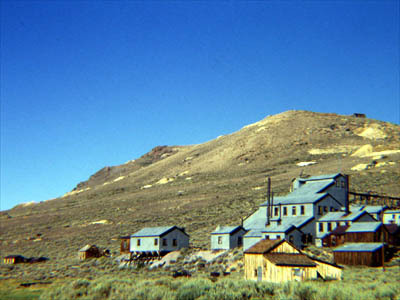 The town hung on, though, until the last mine closed in 1942, by order of the U.S. government as a wartime measure that halted all gold-mining operations. The post office closed the same year. After that the place needed to be protected from vandalism, with the owners of the town placing caretakers there. 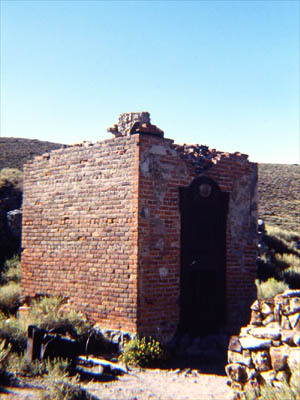 It became a state historic park in 1962. I'm a teacher, writer, photographer, part-time pilgrim, and full time expat. Actually, everything you might want to know about me can be found on my pages. Buddhism as seen at Hsi Lai Temple near Los Angeles.